McGarrity was born in 1874 in Carrickmore, County Tyrone, 22 years after Higgins in Syracuse, N.Y., to Famine-era Irish immigrants. McGarrity immigrated to America in 1892, a year after Charles Stewart Parnell’s death. The 18-year-old McGarrity settled in Philadelphia, where he lived until 1940–15 year longer than Higgins. McGarrity pursued business enterprises, including liquor wholesaling and real estate in Philadelphia and nearby New York and Atlantic City, N.J. He also was a leading member of the Clan na Gael, the secretive Irish republican organization in the United States that worked closely with the separatist movement in Ireland. In March 1918, a week after St. Patrick’s Day, McGarrity launched The Irish Press as the U.S. Post Office, “yielding to British diplomatic pressure,”2 banned the New York-based Irish World and the Gaelic American newspapers from the mail due to war-related suspicions of espionage. More on McGarrity and Devoy and their newspapers as this series continues. Joseph McGarrity’s papers are held at the National Library of Ireland, Dublin. 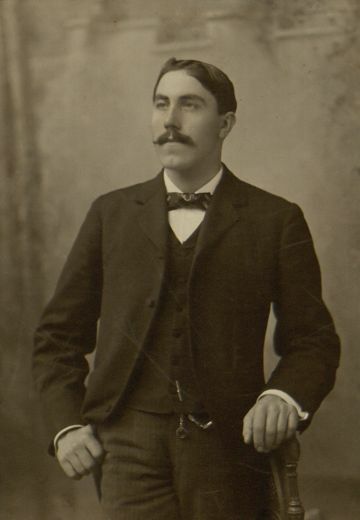 The McGarrity Collection at Villanova University, Philadelphia, contains monographs focusing on Irish history, literature, folklore, travel, music, and Irish-American history, in addition to microfilm of his papers held in Dublin. A selection of the material, including digitized copies of The Irish Press, is available in an online collection. This entry was posted in History, Irish America, Irish War of Independence, Journalism and tagged Gaelic American, John Devoy, Joseph McGarrity, Kentucky Irish American, Patrick McCartan, The Irish Press, William M. Higgins on February 2, 2019 by admin.